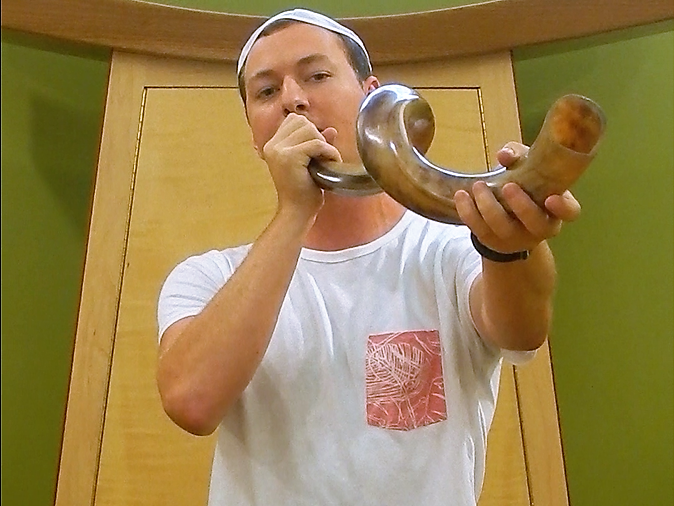 Click to hear Ben blowing the shofar! Hillel holds High Holiday services on the first day of Rosh HaShanah and on Yom Kippur at the Norman M. Fain Hillel Center at 6 Fraternity Circle. Services are open to students and to the general public. No tickets are required, however, non-students are asked to make a meaningful donation to Hillel. Services are led by Executive Director, Amy Olson, who is a trained cantorial soloist.